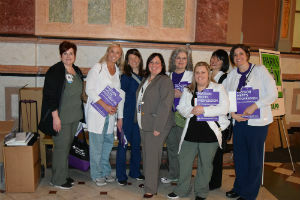 ELGIN – Nurses will now be protected under the Healthcare Violence Prevention Act thanks to State Senator Cristina Castro’s (D-Elgin) new law that was signed on Friday. Castro filed the legislation in response to an incident that occurred in Kane County on May 13, 2017, at Delnor Hospital. Two nurses were taken hostage by an inmate undergoing treatment who managed to obtain a handgun. House Bill 4100 passed the Senate with unanimous support and goes into effect Jan. 1, 2019. ELGIN – Gov. 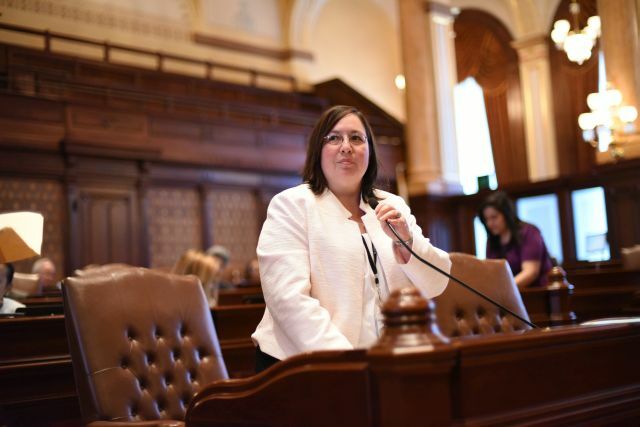 Bruce Rauner axed a measure from State Senator Cristina Castro (D-Elgin) Friday that would have protected undocumented immigrant tenants from harassment by landlords. Rauner issued vetoes on three measures, including Castro’s Senate Bill 3103, which would create the Immigrant Tenant Protection Act to prohibit landlords from questioning a tenant’s immigration status as a means of harassment or to force an eviction. House Action Illinois, Illinois Coalition for Immigrant and Refugee Rights, Sargent Shriver National Center on Poverty Law, Latino Policy Forum, Asian Americans Advancing Justice-Chicago, Illinois Coalition Against Domestic Violence and SEIU Healthcare are a few of the organizations in support of the measure. Rauner also vetoed The Immigration Safe Zones Act (SB 35), which would have directed the Illinois Attorney General to develop model policies for courthouses, schools, libraries, medical facilities and shelters on how to handle immigration enforcement activity, and the VOICES Act (SB 34), which would have set consistent rules for law enforcement agencies that work with survivors of domestic violence, sexual assault, trafficking and certain other crimes. Castro pledges to work with her colleagues to override these discriminatory vetoes. 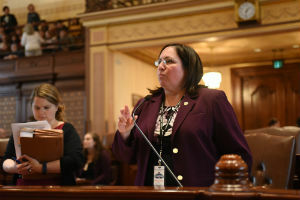 ELGIN – Legislation sponsored by State Senator Cristina Castro (D-Elgin) that will provide children in foster care and under supervision of the Department of Children and Family Services (DCFS) the opportunity to go to college was signed into law on Thursday. Under Castro’s measure, certain youth from DCFS, who file for FAFSA and do not receive a DCFS fee waiver, will have the opportunity to receive a scholarship. The scholarship will cover the remaining tuition and fees for any public institution of higher learning in Illinois. House Bill 5122 goes into effect Jan. 1, 2019. ELGIN— Gov. Bruce Rauner has continued his tirade on the working class by rejecting two measures that would benefit Illinois’ emergency personnel. Rauner issued vetoes on House Bill 126, which extends bargaining rights to paramedics, and House Bill 127, which provides health coverage and educational benefits for firefighters and their families if a paramedic or EMT suffers catastrophic injury or is killed in the line of duty. 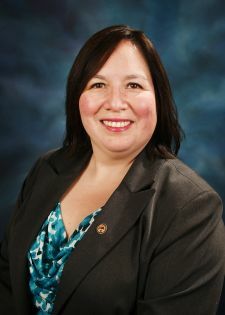 State Senator Cristina Castro (D-Elgin) said the governor’s actions show utter disregard for community heroes. House Bill 126 would have extended the same rights granted to firefighters to paramedics that are also employed by units of local government. Castro said paramedics face the same dangers and serve our communities with honor and respect. The legislation would only impact approximately 60 paramedics employed by local governments such as Mascoutah, Menard County, Morton, Highland, Troy and Union County. House Bill 126 and House Bill 127 passed the Senate and House with bipartisan support. Castro vows to fight for an override of the governor’s vetoes to ensure Illinois’ EMTs and paramedics receive adequate benefits and protections.